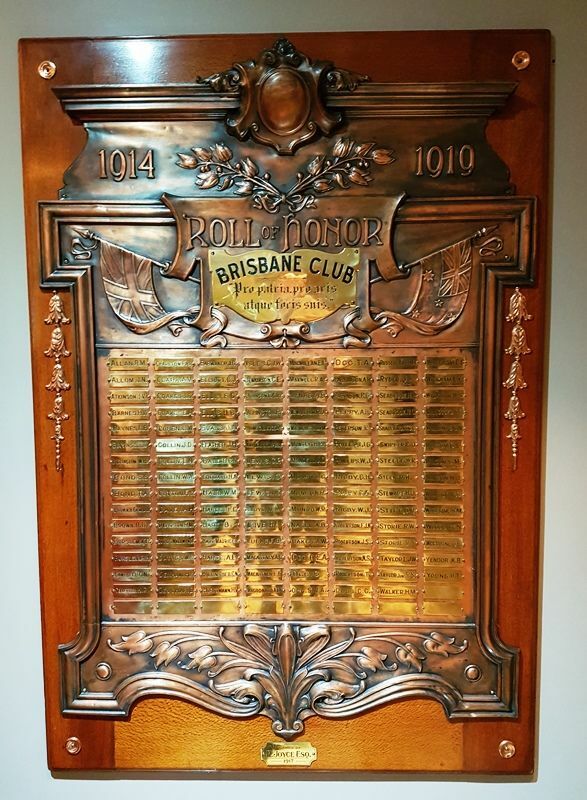 A brass honour roll commemorates 119 men associated with the Brisbane Club who served in World War One. It was presented to the club by R.Joyce, Esq. in 1917.